Beginning this term, De La Salle University is offering course electives on Islamic Banking to all graduate students of business. 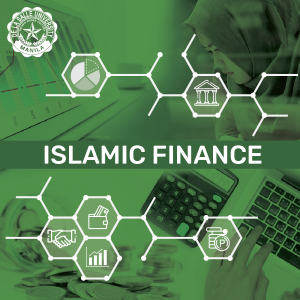 A pioneering initiative in the country’s academic sector, the programs are offered in pursuit of Senate Bill (SB) 668 or the Philippine Islamic Financing Act. This move seeks to address the growing need for young professionals versed in Islamic finance both locally and within the region. It also aims to promote SB 668, which provides for the opening of the local Islamic finance sector to new players. The courses will be under the tutelage of the Amanah Islamic Bank CEO and Chairman of the Board, Alex Bangcola. Amanah Islamic Bank is a subsidiary of the Development Bank of the Philippines. Bangcola has over 20 years of professional work in finance, marketing, and energy development. His experiences in these fields include, among others, working as advisor for the Bangsamoro Affairs for Amanah Islamic Bank from 2012 to 2015, vice-president for World Energy Corporation, and group finance manager for the Lootah Group of Companies (Dubai, UAE). He also taught in Mindanao State University – Iligan Institute of Technology and Ateneo de Davao University.